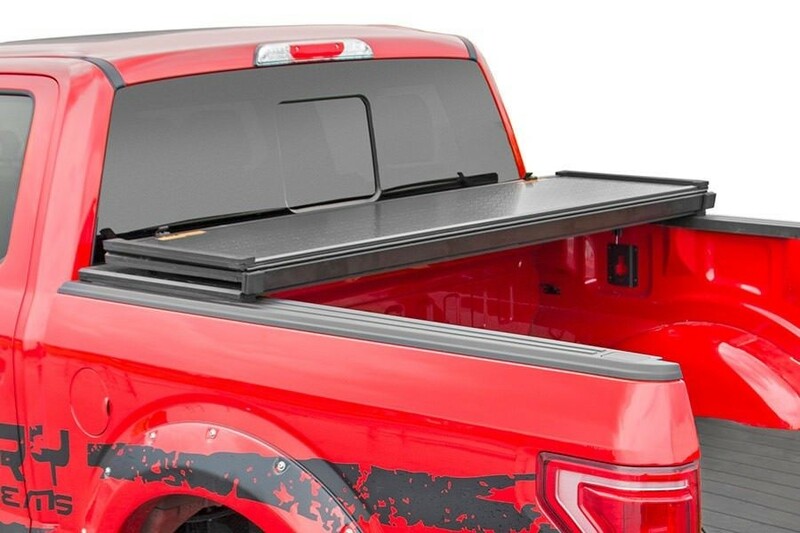 Rough Country's Tri-Fold Tonneau Hard Cover gives you a practical way to protect your truck bed with a durable, segmented hard cover that keeps weather and thieves at bay. This UV protected hard cover features three rigid aluminum panels with a premium, black textured finish for uncompromised protection and killer good looks. The convenient triple-fold design allows you easy access to your bed or the ability to haul large items without entirely removing the cover. 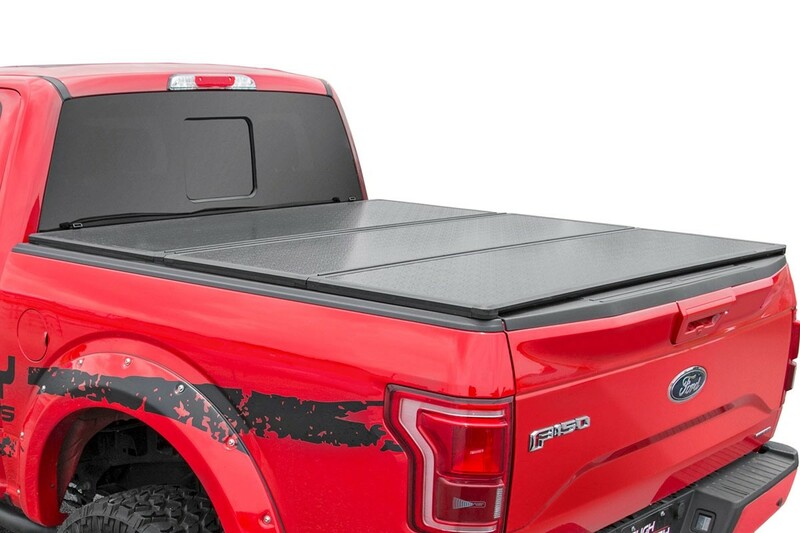 Just fold back one or two sections as needed to access the bed, or roll it all the way up and attach the durable storage straps and continue along your way with the cover in the open position. 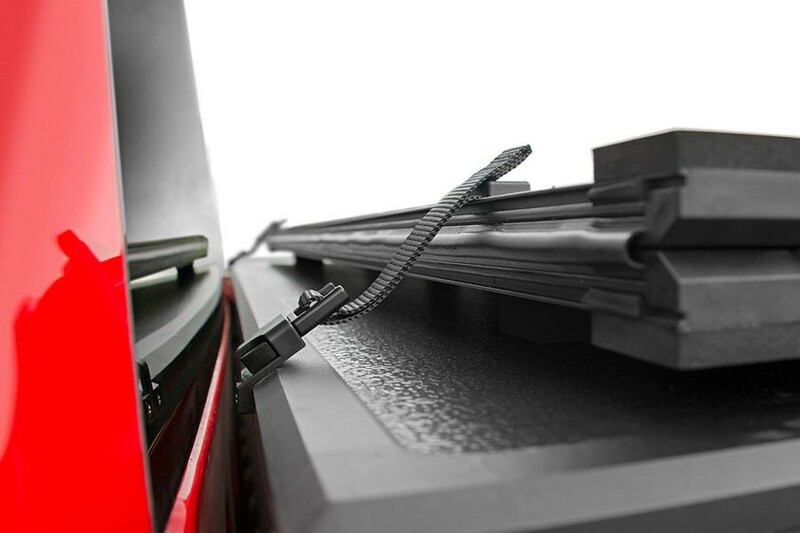 With a lightweight design and no tools required, installation is a snap. Your cover will arrive completely assembled and ready to install. 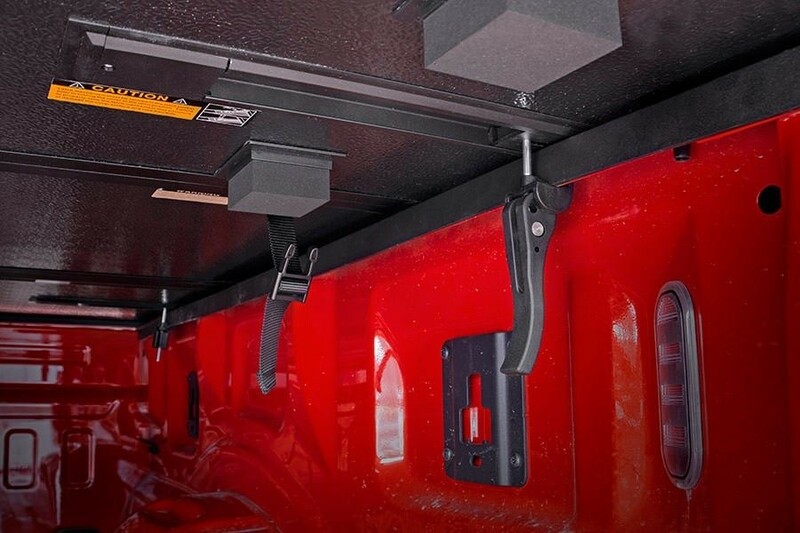 Simply line up and fasten the quick-clamp locks and you're ready roll in seconds.